Jamis Renegade Review: A high performing road bike for pros. 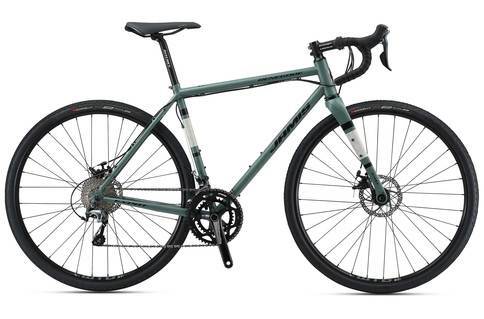 The Jamis Renegade series of basic to enthusiast level of road bikes. With some mostly average specs, these bikes don’t really impress. But if you want an affordable road bike for regular riding, the Renegade series should have something for you. Since the 80s, Jamis has had some great road models. The Renegade series is a more or less average range, nothing remarkable to speak of. It’s debatable whether that’s good or bad, but our test rides left us feeling a little indifferent about this series. These bikes are generally pretty lightweight, even the basic level aluminum models. You can be sure you’ll get pretty much the typical enthusiast level specs on the top carbon fiber models, with Shimano Ultegra parts. These are pretty solid, stiff bikes, but their gearing is not up to par, making those long and steep ascents more cumbersome than they should be for this level. The Exile model does alright for a basic level cycle, but we’ve reviewed much better componentry at this price tag. Having said that, it’s not a bad buy for a few hundred bucks, because you don’t need impressive specs as a beginner. For the most part, the whole series is confident riding and easy handling, so there’s nothing to complain about, but just nothing of note either. If you just need a basic bike for regular road riding, then these models will do the needful – they’re about as average as they come. It’s great that the Jamis Renegade has good enthusiast level specs on the top models, and affordable prices over the range. But we’re not so sure we’d buy any of them ourselves. We’ve seen too many bikes with better specs at these price ranges.